Choosing a headset is complex. Should you favor a low weight or noise cancellation performance? Alphachooser splits Bluetooth headsets in all the right categories for you to choose from. 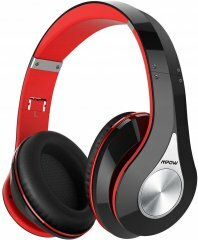 According to our multi-review-based ranking system, the best bluetooth headset 2019 should be the Mpow 059, and the second best bluetooth headset 2019 is the Mpow Over-ear Stereo 2016. Here is the full top 10 list, followed by special categories and, finally, a complete list of bluetooth headset brands and models. Considering its aggregate ranking of 90%, we determined that the Mpow 059 is currently Alphachooser's best bluetooth headset 2019. We also believe that our 16544 reviews sampled from our sources give us a high confidence level (more on confidence levels) that justifies to call it a "no-brainer best choice." With its star rating of 4.5 computed from 16045 reviews, here is what we consider second best bluetooth headset. * By the way, our list is based on an in-depth analysis of hundreds of bluetooth headset reviews from around the web. The Jabra BT2047 is the latest Jabra one. 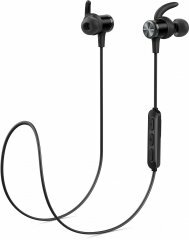 The Plantronics BackBeat FIT 300 is the latest Plantronics bluetooth headset. The Motorola Pulse Escape is the newest model by Motorola. The Sony h.ear in 2 is the newest bluetooth headset by Sony. The Samsung Gear IconX is the latest model by Samsung. 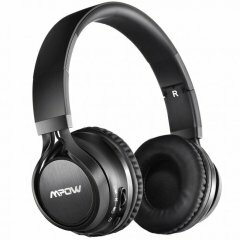 The Mpow EM1 is the latest MPOW one. The SoundBot SB565 is the latest bluetooth headset by SoundBot. The Sena 30K is the latest Sena model. The Sennheiser HD1 Free is the newest Sennheiser bluetooth headset. The iLive Platinum IAHP46 is the newest bluetooth headset by iLive. The LG Tone Active Plus is the newest bluetooth headset by LG. The TaoTronics TT-BH22 is the latest TaoTronics one. 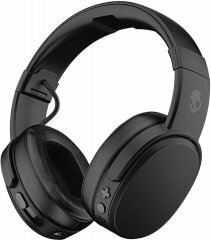 The Skullcandy Hesh 3 is the newest bluetooth headset by Skullcandy. The JBL Reflect Mini-BT is the newest bluetooth headset by JBL. 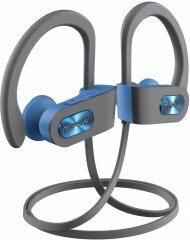 The VXi BlueParrott B450-XT is the newest bluetooth headset by VXi. The SoundPEATS Q30 is the latest model by SoundPEATS. The Nokia Purity Pro is the newest Nokia model. The Avantree Apico is the latest Avantree model. The Philips SHB4305 is the latest model by Philips. The Bose SoundSport Free is the latest bluetooth headset by Bose. The Jam Transit Micro is the latest Jam one. 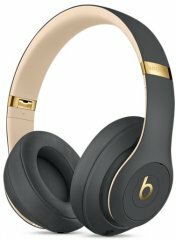 The Beats Studio 3 is the newest Beats By Dre bluetooth headset. All Beats By Dre Bluetooth headsets. The BlueAnt Pump Lite is the latest BlueAnt model. The JayBird X3 is the latest model by JayBird. The Otium Knight is the newest bluetooth headset by Otium. The Phaiser BHS-760 is the newest bluetooth headset by Phaiser. The FreedConn FDCVB is the newest bluetooth headset by FreedConn. The Anker SoundBuds Curve is the newest Anker bluetooth headset. 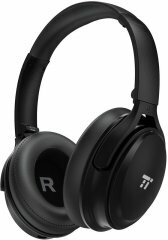 The Blue Tiger SoundTRAX is the newest bluetooth headset by Blue Tiger. All Blue Tiger Bluetooth headsets. The Jarv Pure Fit is the newest Jarv bluetooth headset. The Photive Micro 1 TWS is the latest bluetooth headset by Photive. The Sony Ericsson HBH-PV740 is the latest Sony Ericsson bluetooth headset. All Sony Ericsson Bluetooth headsets. The Life N Soul IE350 is the newest Life N Soul one. All Life N Soul Bluetooth headsets. The JLab Epic is the newest JLab one. The Craig CBH509 is the newest bluetooth headset by Craig Electronics. All Craig Electronics Bluetooth headsets. The Inland 87083 Foldable is the latest Inland model. The Denon Globe Cruiser AH-GC20 is the latest bluetooth headset by Denon. The AfterShokz Trekz Titanium is the latest Aftershokz model. The Coulax CX06 is the newest Coulax bluetooth headset. The Erato Muse 5 is the latest model by Erato. The Senso ActivBuds S-300 is the newest model by Senso. The TREBLAB J1 is the latest bluetooth headset by TREBLAB. The AUKEY EP-B40 is the newest AUKEY one. The Jawbone Era is the latest Jawbone model. The Kinivo BTH240 is the latest Kinivo one. The UClear HBC200 is the newest UClear model. The Sneer HBS801 is the latest bluetooth headset by SNEER. The Bluedio T4 is the newest Bluedio one. The Bluettek HM900 is the newest bluetooth headset by Bluettek. The SMS Audio Sync is the latest SMS Audio bluetooth headset. All SMS Audio Bluetooth headsets. The Monster iSport SuperSlim is the latest Monster model. The Sol Republic Shadow Wireless is the latest Sol Republic one. All Sol Republic Bluetooth headsets. The Phiaton BT 330 NC is the newest model by Phiaton. The EGRD SX-991 is the newest bluetooth headset by EGRD. The Parrot Zik 3 is the newest Parrot model. The RevJams Active PRO is the latest RevJams bluetooth headset. The Syllable D900 Mini is the latest Syllable one. The G-Cord Wireless Sport is the latest G-Cord one. The GoNovate G10 is the latest GoNovate model. The Mailiya G18 is the latest Mailiya one. The Aelec Flexbuds is the latest Aelec one. The AXGIO Dash is the newest AXGIO one. The Airmate Mini is the newest bluetooth headset by Airmate. The FKANT Gemini is the newest FKANT model. The QCY Q29 is the latest QCY model. The iFrogz Impulse is the latest iFrogz model. The Zinat MagicBuds is the newest bluetooth headset by Zinat. The Forone Q9 is the latest Forone one. The iClever BTH20 is the newest bluetooth headset by iClever. The Picun H2 is the latest Picun model. The ENACFIRE E18 is the latest bluetooth headset by ENACFIRE. The Soundcore Spirit X is the latest Soundcore one. Music headphones that can also be used for telephony (The microphone is built into one of the earpieces). Simple to use, lightweight headset that comes with a maximum of 5 hours of talk time and a LED performance/status indicator. 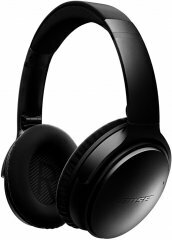 A secure headset that provides encrypted conversations and protects against Bluetooth hacks and eavesdropping. Over-the-head Bluetooth headset with noise cancelling swivel microphone and car charger. This waterproof Bluetooth headset offers two-way intercom up to 500 meters claimed to withstand 120km/hr and a GPS transmission function. This entry-level Bluetooth helmet headset yields a 150m two-way intercom (up to 90km/hr), seven hours of battery time and GPS transmission. This sweat-proof sports headset, as claimed by the manufacturers, has 5.5 hours of music streaming and magnets to keep it around your neck.